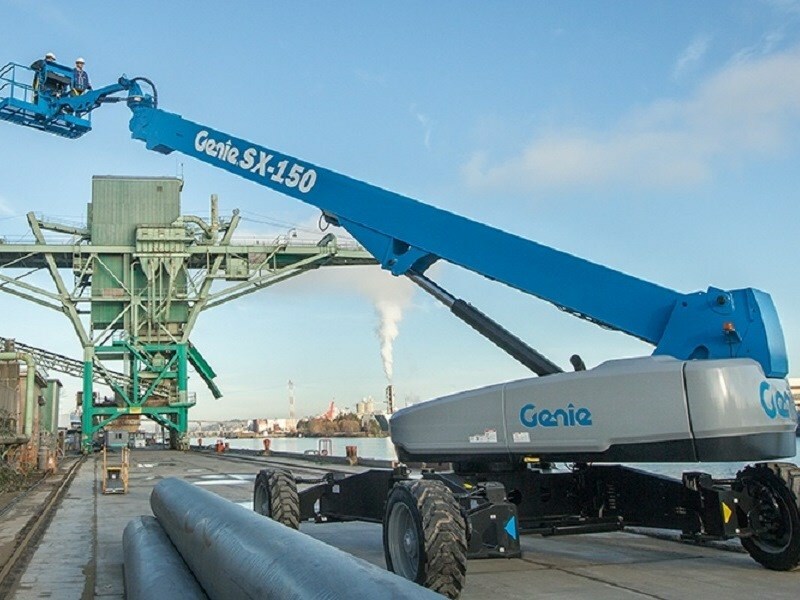 Genie says its SX-150 boom lift is suitable for use in a wide range of industries including construction, telecommunications, maintenance and more. Adding to its range of telescopic boom lifts, Genie's new SX-150 is capable of reaching a maximum of 150ft in under three minutes for work in challenging environments. Genie says the machine is ideal for use in construction, maintenance, telecommunications, gas and oil refineries, chemical maintenance, and large utility applications. Terex Aerial Work Platforms general manager Australia Brad Lawrence says the company considers the new machine to be a ‘versatile workhorse’ that is tremendously durable for challenging environments. 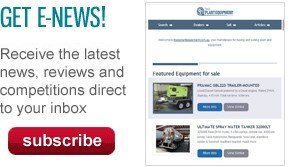 "It’s a cost effective choice to reach challenging jobsite applications while still ensuring the quality and reliability Genie customers have come to expect." The SX-150 boom lift can reach its full platform height of 46.33 m (152 feet) in under three minutes and offers four programmable height settings of 45.72 m (150 ft), 41.15 m (135 ft), 36.58 m (120 ft) and 30.48 m (100 ft). It also features a 3.05 m (10 ft) horizontal and vertical rotating jib for quick local repositioning of the platform. In addition, the SX-150 is capable of achieving a horizontal reach of 24.38 m (80 ft) and 21.34 m (70 ft) at 36.58 m (120 ft) platform height. Its lifting capacity of 340 kg allows a maximum of two people to work on the platform. A standard 7.5 kW on-board generator provides power for tools. The 22,997kg machine has a tail swing of 1.07 m and ground clearance of 0.38 m, allowing it to be transported easily on a standard trailer without the need to apply for over-size permits. The boom uses the same, tried-and-tested chassis design of Genie’s SX-180 and ZX-135 boom lifts. External sensors and manifolds are protected under steel covers that are easily removed providing easy service access. Powered by a Deutz Tier 4 interim engine, the SX-150 contains hydraulic hard lines wherever possible for durability while a hydraulic filtration system ensures optimum cleanliness. Its rotating jib worm drive reduces backlash and offers 60 degrees of horizontal motion for increased working area. All manifolds offer easy wrench access while a swing out engine tray provides easy service access. The boom extend system features a cylinder and wire rope cartridge for fast service or replacement. The Genie SX-150 boom lift will be available in Australia in the first quarter of 2016.